The Beauport Mazda Tire Centre is your resource for buying new tires for your Mazda vehicle. At Beauport Mazda, we have a large selection of quality summer and winter tires at an unbeatable price. Come discover all of our tires and seasonal offers on many of our best tires in stock. 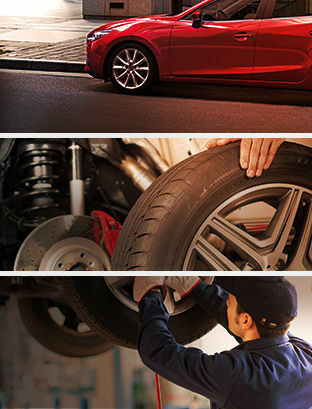 If your Mazda needs new tires, why not trust the experts who are familiar with Mazda products? Choosing the right tires goes far beyond buying the recommended ones or tires that have received good reviews. We must make sure to choose the right tires for our lifestyle and the use we intend to make of our vehicle. At Beauport Mazda we’ll be able to help you choose the right tires for your Mazda. Come meet us today, we’re waiting for you. We also have special offers that will save you money on all our services.